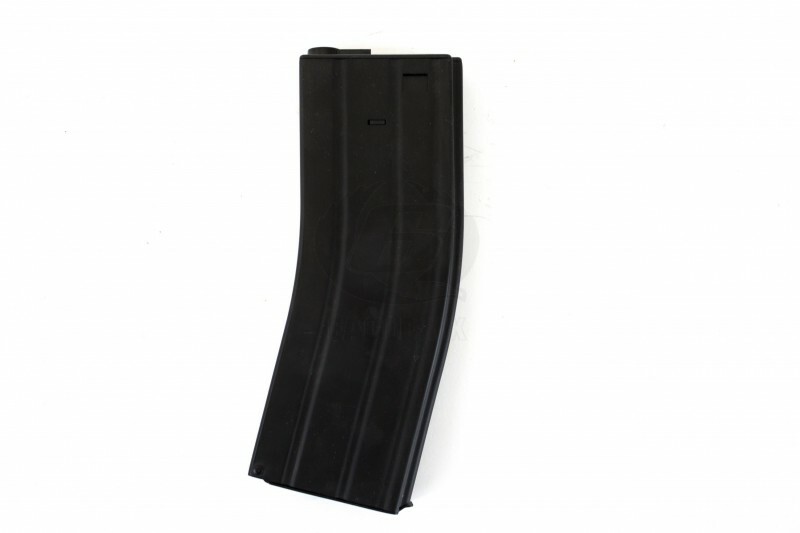 Metal cased Hi-Cap magazine for M4 style AEG's. Holds up to 370rnds which are fed into the rifle via a spring powered mechanism inside the magazine. Users wind up the spring via a wheel on the bottom of the magazine.